Charlton Athletic have confirmed former Addicks full-back Chris Powell as their new manager. The 41-year-old, who played over 250 games during three spells at The Valley, has signed a three-and-a-half-year contract with the League One club. The former England international, who had been working as a coach at Leicester, succeeds Phil Parkinson. Addicks chairman Michael Slater said: "As soon as we met Chris, it was clear he was the stand-out candidate." He added: "He has natural leadership ability and his passion for the club, together with his football knowledge and ideas for the future, are hugely impressive. "We firmly believe Chris is the right man to take the club forward on the pitch and we're thrilled to have got him. We think fans will be, too." Powell, who will officially start as manager on Monday, takes over with Charlton currently sixth in League One, six points off the automatic promotion places. He said: "I'm absolutely delighted - I'm honoured and proud to be the Charlton manager. "It's all happened very quickly, but this is my fourth time at Charlton and I know the club extremely well. "I know what the fans want. I know what the club has been through over the years, and I know that there is a lot of hard work that lies ahead, but I'm willing to do that. "I want to be part of building a brighter future for everyone connected with Charlton." 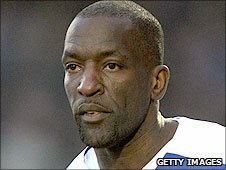 Powell, who helped the Addicks win the First Division title in 2000 and become established in the Premier League during his playing days, started his career in 1987 at Crystal Palace and went on to play at Aldershot, Southend, Derby, West Ham and Watford. His final spell at The Valley ended in 2008 when he joined Leicester City on a short-term deal. He then became player-coach at the Foxes under Nigel Pearson and retired from playing last season. Following the sacking of Leicester manager Paulo Sousa in October, Powell became caretaker manager until Sven-Goran Eriksson was appointed.